Selection of good quality partition accessories is essential for the best performance of partitions. Jacknob, the industry leader in partition accessories has the complete collection of all accessories for partitions. We have over two thousand five hundred Jacknob products and we are confident that, these products will be most suitable for all your requirements for good-quality partition hardware accessories. Jacknob engineers understand all the aspects associated with the partitions and offer unique solutions. This approach helps them to understand customer demands and design innovative products to meet these demands. Thus, you get complete returns for your money and the perfectly stable and durable partitions forever. Various sorts of accessories are needed during installation of partitions. These are alcove packs, door hardware, pull, hinges, door stops, hooks, strikes, latches, paper roll holders, screen brackets, pilaster shoes and much more. This comprehensive range of products is available with Jacknob and you can enjoy the best of Jacknob under one roof. Jacknob also supplies a wide range of replacement parts making maintenance cheaper, quicker, and easier. With the Jacknob approach, you will get stronger toilet partitions. The experience of sixty years really counts and reflects as Jacknob continues to deliver finest products. 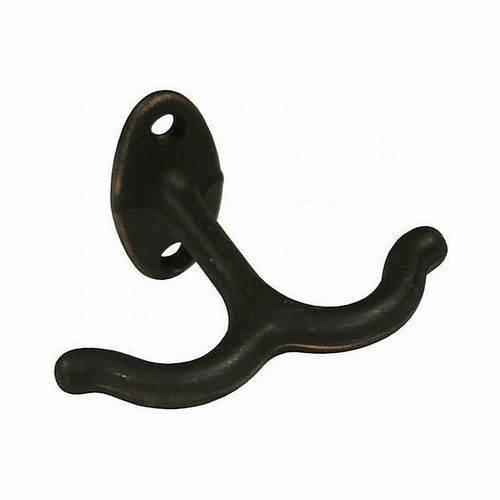 Jacknob 123932 Headrail Curtain Track-Universal 60"
Jacknob 123922 Headrail Curtain Track-Universal 48"
Jacknob 123912 Headrail Curtain Track-Universal 36"
Jacknob 37069 Pilaster Shoe Pack - 6" x 1-1/4"
Jacknob 37049 Pilaster Shoe Pack - 4" x 1-1/4"
Jacknob 37039 Pilaster Shoe Pack - 3" x 1-1/4"
Jacknob 37029 Pilaster Shoe Pack - 2" x 1-1/4"